Simon Belmont from the Castlevania series, Pyramid Head from Silent Hill 2 (and movie!) fame, and the Vic Viper ship from Gradius are all available to unlock for a mere 10 coins. Those coins are earned by competing against other players in the Multiplayer Battle mode, or by completing worlds in the co-op Story Mode. 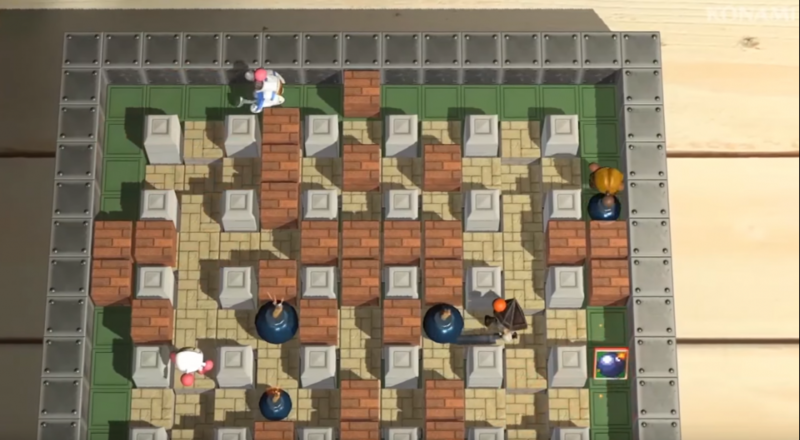 Full patch notes can be found on the "News" portion of the Super Bomberman R website. Any bets on when we'll get a Solid Snake bomber added? Page created in 0.7762 seconds.